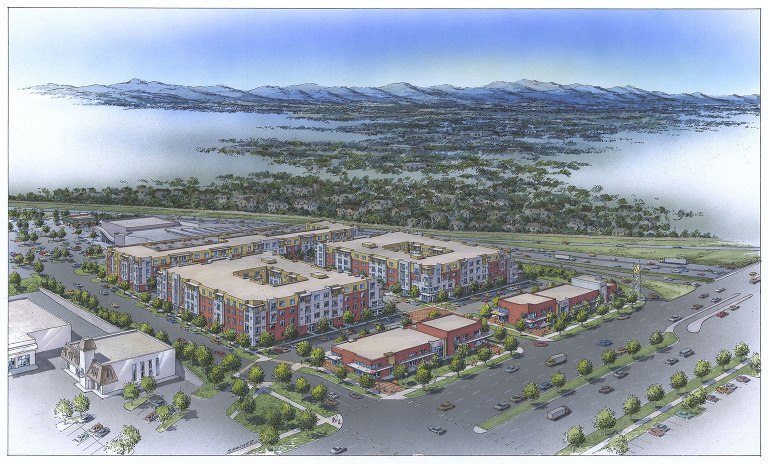 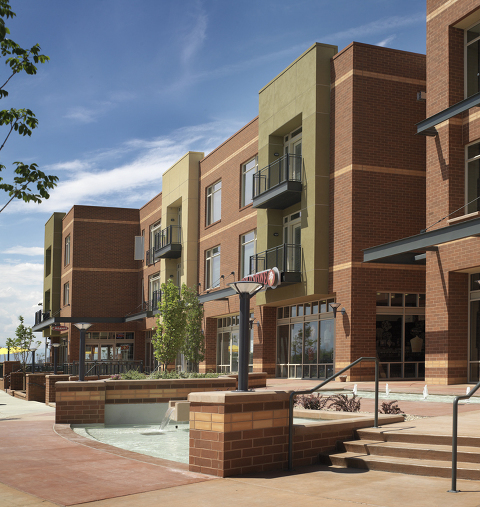 A seven acre apartment and retail complex in South Denver was masterplanned in a new-urban manner creating three blocks for a mixed-use building at Hampden and two - four story buildings to the South. 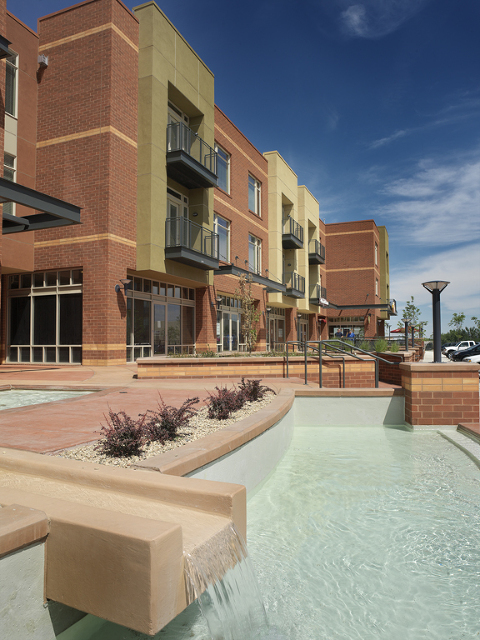 The District was Denver’s first major transit oriented development. 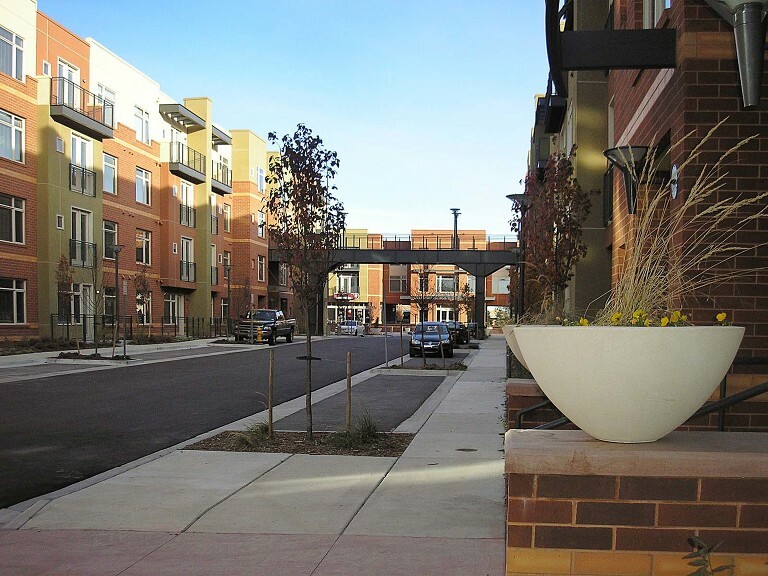 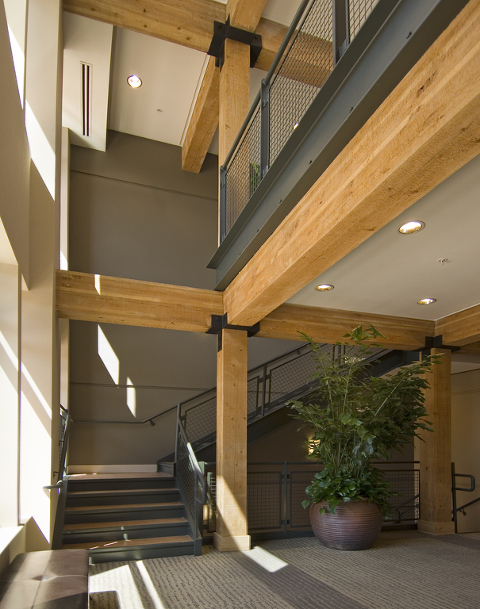 It received the “City of Denver’s Mayor’s Design Award in 2006”. 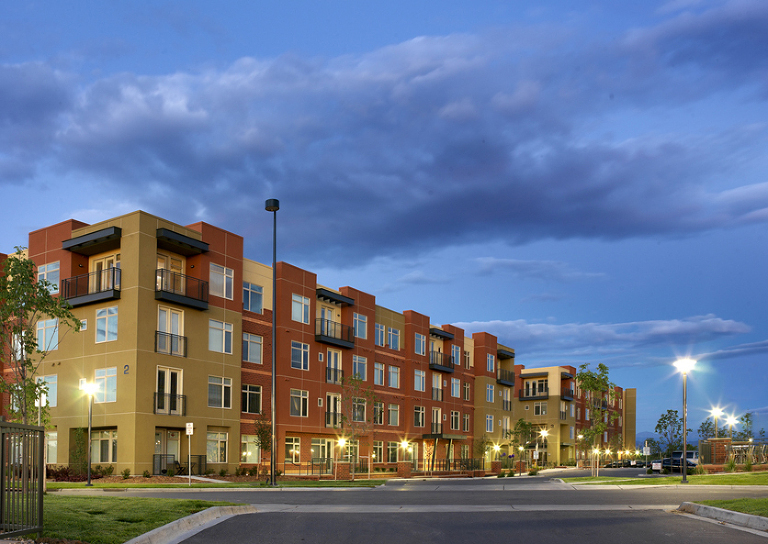 This project includes a “wrap” structure providing for 98 residences around a six level parking structure for 450 vehicles and a four story building providing for 146 residents around two 5,000 sqft courtyard.